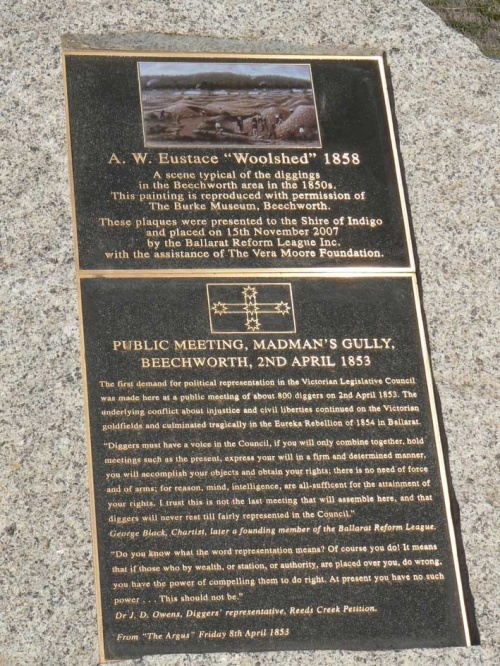 The first demand for political representation in the Victorian Legislative Council was made at a public meeting at Madman's Gully, Beechworth on 02 April 1853. 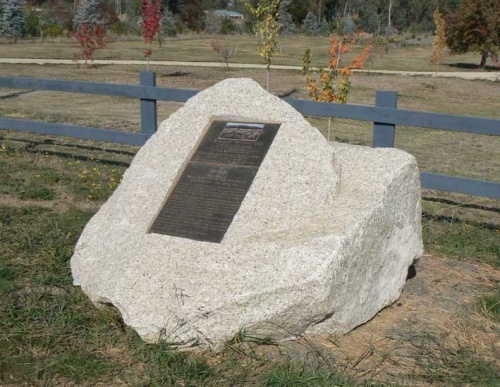 The underlying conflict about injustice and civil liberties continued on the Victorian goldfields and culminated tragically in the Eureka Rebellion of 1854 in Ballarat. ↑ Dr J.D. Owens, Diggers' representative, Reeds Creek Petition. This page was last edited on 22 August 2017, at 11:48.